Most of us know the 33 year history of Microsoft Windows by now and with one or two forced errors down the years, in my opinion the launch of Windows 10 in 2015 became a defining moment for the world’s favourite computer operating system. And it’s no coincidence that Windows 10 followed hot on the heels of Satya Nadella’s appointment as Microsoft CEO in 2014, himself being an experienced technician, in stark contrast to Steve Ballmer’s brash salesman approach.The ever so unpopular Metro tiled interface was given a welcome makeover among many other improvements, and as DCT writer Jim Hillier pointed out in his July 2015 article, 3 Burning Questions Microsoft Needs to Clarify about Windows 10, Windows 10 became a service. Since that time Windows 7 has remained stoically popular, as has Windows 8 for reasons that I still cannot fathom. But if you cast those stats aside and take them with a pinch of salt, it’s clear to see that Windows 10 is very much here to stay and in terms of usability, knocks mac OS and Linux completely out of the park. If you were lucky enough to take advantage of Microsoft’s special offer to upgrade free of charge to Windows 10 for a whole year until July 2016 and also through the Assistive Technologies loophole until December 2017, then you probably found your installation or upgrade to be a relatively simple process, just as I have done. With its ‘lite’ system requirements of a 1Ghz CPU and 1GB RAM (2GB for x64), the scope for upgrading was enormous and indeed I’ve installed Windows 10 on some fairly lowly machines including single core Athlons with 1GB of RAM. 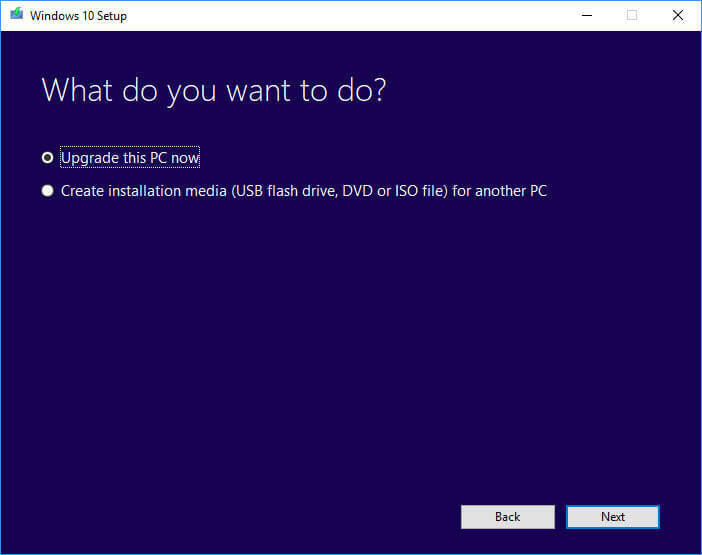 Most PCs today have USB ports with the ability to boot from a pen-drive and by using the Media Creation Tool from Microsoft, the entire process couldn’t be simpler. In fact, it can be used to either upgrade the current machine or to prepare the pen-drive for a clean install elsewhere. Combine this with a fast CPU, plenty of RAM and an SSD (Solid State Drive) and you’re looking at a Windows 10 installation that shouldn’t take longer than about 20 minutes from boot to shiny new desktop. 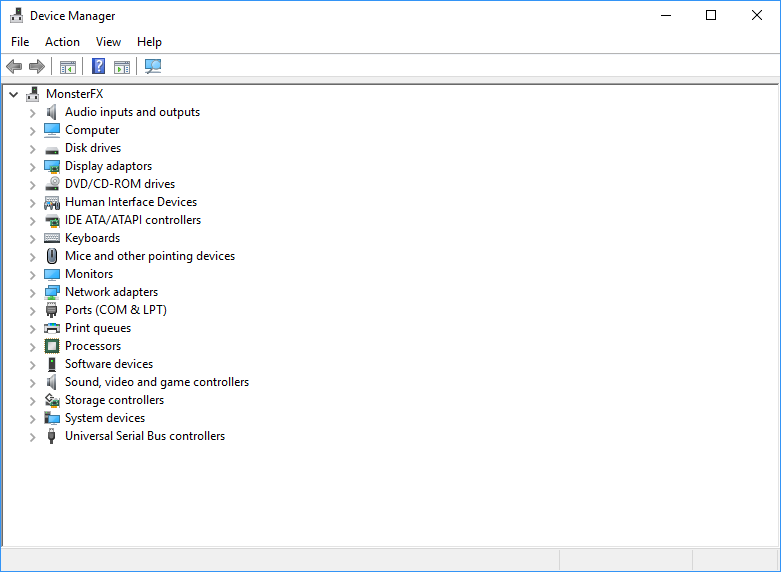 There are always driver exceptions of course, mainly with laptops, but in my experience of installing Windows 10, 99% of the time all the necessary drivers are installed during installation, including such devices as WiFi and network adapters, up to and including GPUs. The pain of needing to hunt around for those elusive drivers has not been completely eradicated, but Windows 10 gets you up and running faster than any OS I’ve come across to date. 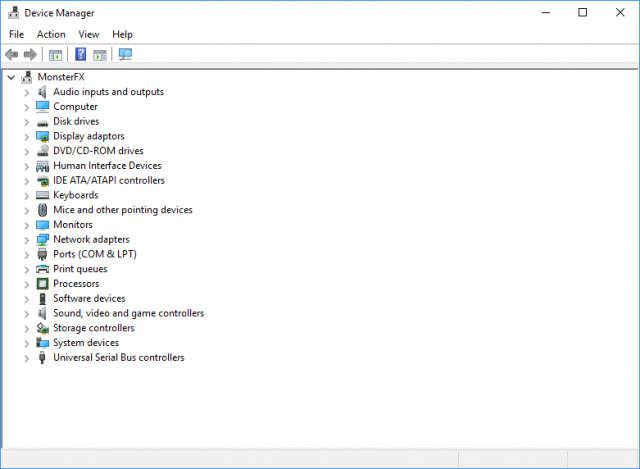 Again, depending on your PC configuration, the time it takes to get from pressing that power button to a working desktop is drastically reduced with Windows 10 and in most cases can be measured in seconds. In fact, on my aging Phenom II x4 965 work machine, which I use for technical day to day use, I can be at a working desktop in less than 45 seconds from pressing the power switch. This is helped greatly by having an SSD, a quad-core CPU, 16GB of RAM and a clutter free start-up configuration. It’s utterly pointless to compare Windows to MacOS/OS X or Linux in any way whatsoever, but for me, the outstanding aspect of Windows 10 that literally trounces the opposition is its multifarious flexibility. It can be personalised in so many ways without the need for third-party add-ons and with the debacle of Windows 8 now safely behind us– the restoration of the Start Menu to some semblance of its old self, for example– customising Windows 10 can be achieved in so many different ways. 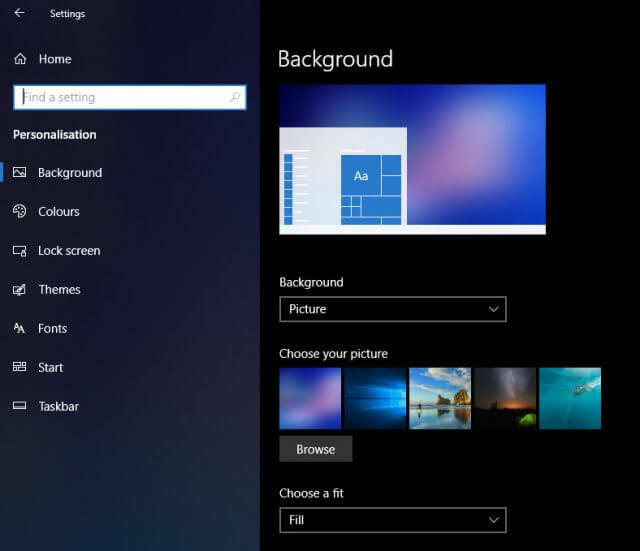 Put the Task Bar on any of the four edges of your screen, go dark with your theme, customise the Start Menu (ex Start Screen) with as many or as few tiles as you wish, change the language, colours, theme and many more user options of Windows. 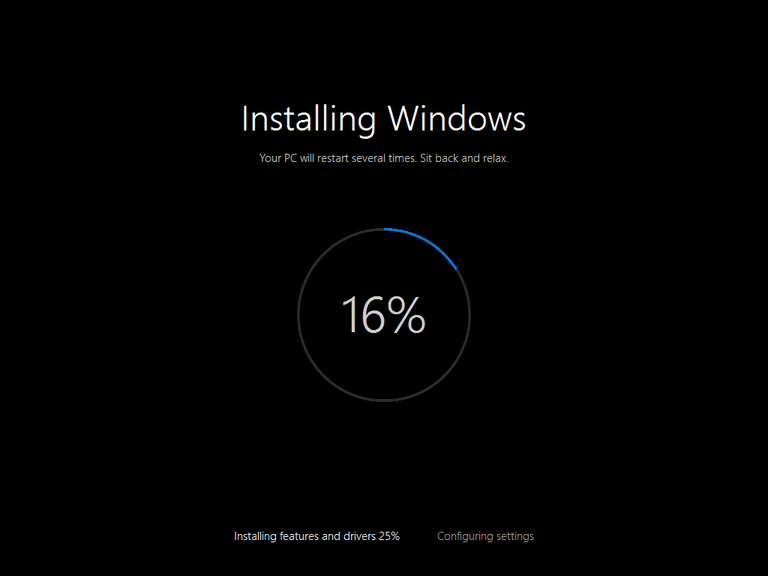 Unless you’re changing your motherboard and CPU, Windows 10 is very accommodating. Adding an SSD, changing your GPU and peripherals such as keyboard and mouse can be done with ease due to the OS’s innate flexibility. In fact, on both of my gaming machines I’ve swapped out GPUs, SSDs, keyboards and mice numerous times since I first installed Windows 10 with no problems whatsoever. In our house there are a total of seven PCs running Windows 10, with five running the OS from an SSD, and since the Windows license is now tied to your hardware configuration– principally the motherboard and CPU– you’re free to reinstall the system on that same PC as many times as you wish without the need to enter product keys or manually activate Windows. Activation is automatic, happens once you connect to the Net and takes place quietly and unobtrusively in the background. For technicians like me who reinstall Windows frequently on customers’ PCs, this is a major benefit since most people don’t keep a record of product keys and simply want their machine to work the way it should. 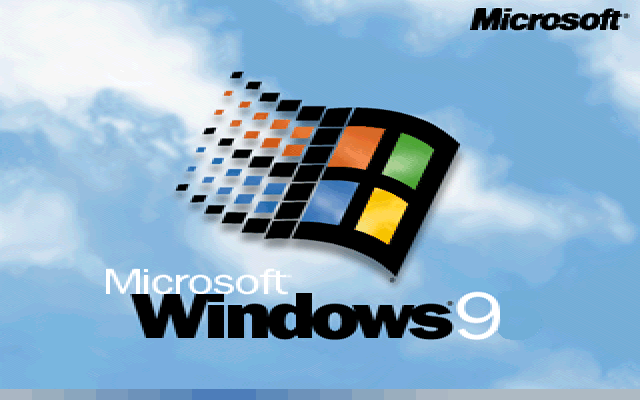 Without doubt, Windows is the premier platform of choice for gamers and has been since the years of DOS. Whilst other OSs struggle to bring the gaming experience to users with programs such as WINE on Linux or Wineskin and Boot Camp on Mac, I found the entire experience to be more trouble than it’s worth– although I’m happy to give it another stab. 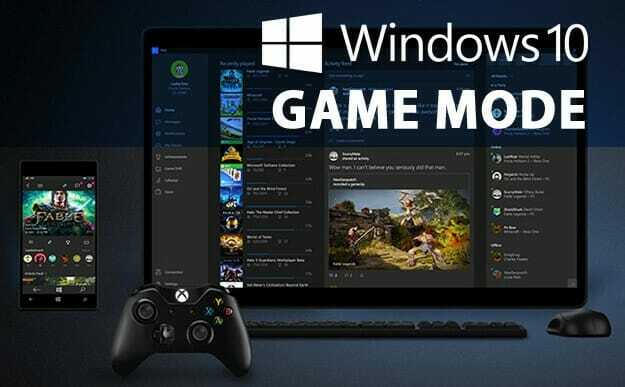 On the other hand, Windows 10 will let you play practically every game that’s ever been written, either through Compatibility Mode or by using the remarkable DOSBox, an x86 emulator which will have you running your favourite games from previous decades in no time at all. I’ve been gaming on PCs since Windows 3.1 and from time to time can still play those older games in Windows 10 through DOSBox or setting Windows in compatibility mode, which is a mark of the OSs true capability as a gaming platform. 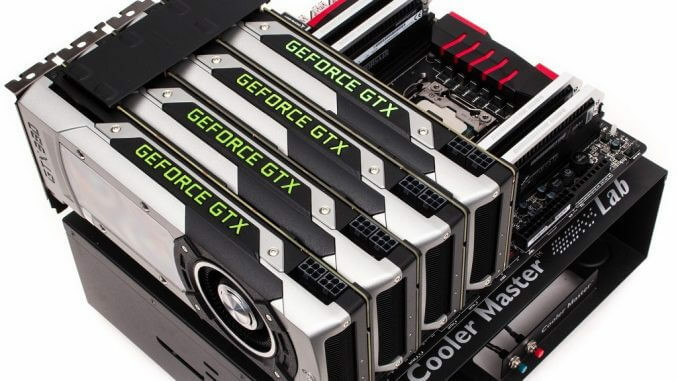 Today’s games, of course, are very hardware demanding and whilst GPU drivers are arguably the most important component in any gaming experience, you’ll find them updated by AMD and Nvidia frequently for Windows 10 and Linux, but for Mac it’s an entirely different proposition. In short, games on Windows 10 simply work out of the box and are brought to life in wondrous ways. Add to that Windows 10’s Gaming Mode and Game DVR and it’s easy to see that Microsoft has finally begun to take gaming very seriously. 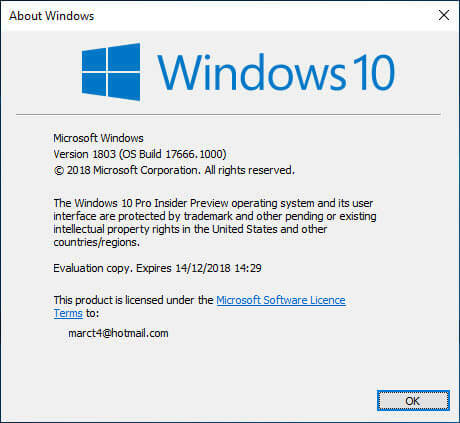 On my technical gaming PC I’m subscribed to Windows Insider which allows me to test pre-production features of the OS before official updates are more widely released to the public. In fact, I’m currently running Windows 10 version 1803, build 17666 and taking advantage of some cool new features such as Explorer Dark Mode. I may need to see a shrink for nominating this, the tenth reason why Windows 10 is the best operating system of all time. After all, why should the number nine be discriminated against? I’ll tell you why– because it comes hot on the heels of eight, which as we all know was designated to that mish-mash, ill-thought-out abortion, previously known as Windows 8. It’s hardly surprising, therefore, that Microsoft wished to distance itself from that particular fiasco and why they skipped a number by settling on Windows 10, thus redeeming themselves and in the process moving the OS to the sunlit uplands of a nice, tidy round number that’s now recognised as the best, most complete desktop operating system of all time. Win10 is the WORST m$ OS!! Nah that has to be Windows 8, certainly at the start. What we got with 8 was a desktop os for tablets and a tablet os for desktop. Windows 10 is much better. If people haven’t checked out what the next update in October is bringing I recommend having a look. They are introducing Sets which I think is available right now to test on the insider preview. This will allow finally tabs into things like file explorer and other applications. You can even create a group aka set and go back to the collection later. I can agree with some of what you are writing about, but their has to be a better way to deliver feature updates to W10. Marc. Since we are all unique, we also have different needs (quirks) especially when it comes to M$ operating systems. I tried 10, did not like it, and went back to 8.1 which I love. It works for me and I cannot understand why folks do not also love it too. Had a few problems at the beginning, but it’s been a rock solid operating system for my needs on two computers. And they are both desk top units. BTW, still use XP on an old laptop (10 would never install on something so old), Mindblower! Windows 10 is best … for whom? Definitely not for senior citizens who took a long time to get used to Windows 7 after Windows XP. Windows 10 is of no great benefit to the average household users with basic computer knowledge as there are too many applications which are only needed if they want to fly a spaceship to the moon. None of my family, friends or clients want or need everything that Win 10 offers, that is if the computer operates effectively after the cruddy updates cause grief with their favourite ‘tools’ of operation. Windows 7 should be available. ad infinitum …. for MS Office, Internet, Games, add Outlook Express and the ability to add applications to suit individual needs, not bombarded with forced ‘wasters of resources’ because there are far more important things to do in life than wasting money on a semi-useless Windows 10 O/S Zeta version. Just recently had to clean up a HP All In One PC owned by a “Senior Citizen”. The owner, with all his Senior wisdom, had downloaded every conceivable fix it tool that one could think of, even reimage ane iobit. Needless to say the PC had been rendered from one pop up to another. The original pop up, that He thought was a virus, was Webroot wanting the subscription updated, so I uninstalled Webroot and did a malware scan, which as you can guess discovered several issues, fixed the issues and downlaoded the latest 1803 update. PC is now running fine. If only users would listen to their friendly PC geek? If I had one dollar for all the comments I made to clients, friends and even families relating “Do Not Touch” certain elements with the computer I could buy a new car every 6 months. OK by me when they for my maintenance visit and ignore their friendly PC geek. Unfortunately some can’t afford to pay for killing Microsoft’s regular poisonous bugs. On that basis of argument we’d all still be using Windows XP and OSs wouldn’t be improved for the modern world in which we live. The fact is, the Windows 10 interface is still pretty much the same as Windows 7 and I would argue that the learning curve is really no different, but then change can be challenging at times. By the way, Windows 7 will be supported by Microsoft until January 2020 and support for XP stopped in 2009, so Win 7 has been given a pretty good run, all in all. I am still dealing with a client who is running XP on a machine connected to two other machines via KVM switches. I can see his need to run XP for the software he is using and which W10 will never run. Been trying to get him to install a SSD and a 1TB drive, for local backups, and see if the machine will run W10. He doesn’t understand that if he ever gets a bad virus He is going to infect probably every machine he is running. Hope He will listen and that the old machine will run W10. In our ‘modern’ world, why did Microsoft have to create a schemozzle with Windows 10 by changing the positions and names of a number of applications, for instance, ‘My Computer’icon name change has caused ‘modern’ confusion to mny people and has no benefit to ‘modern’ world users. Windows XP suits the ‘modern’ world in several areas of the USA and UK defence force departments as they pay Microsoft to continue supporting Windows XP. In similar cases, innumerable government departments can not afford to even change from Windows 7 to Windows 8. Windows 10 would be the best O/S due to the current technology available if the creators would kill the bugs before releasing their updates. Let’s not toss all of us Seniors into the same basket and then speak about us as if we were all Luddites. That’s like saying all …… are a bunch of …..
Young compulsive fools can mess up a computer as well as old compulsive fools. And I know younger computer users who have as much trouble learning new computer systems as some older ones do. And vice versa. As a trivial example, I’m a septuagenarian who began with XP, then moved to Win7, then to Win10. And like Win10 the best. Yes, there are some benefits to Win 10. But updates never failed to disable Cortana andMenu so I decide not to update evermore. But forced updates are ridiculous. Since I disabled Windows update totally, my computer now always boots to desktop in about TEN SECONDS!! It used to take a minute or more. If you have totally disabled windows 10 updates, thin what version of W10 are you still using? Cannot agree with disabling W10 updates no matter how good or bad. Booting in 10 seconds could be the Fast Start up option that was implemented in Windows 10. Also, it has had its share of problems, so it is more recommended off. Unless you have a Solid State Drive, booting up that fast is near impossible, maybe not even with a 15,000 R.P.M. H.D.D..
Glad to see so many comments from a wide range of users. Sadly I am split in the agree / disagree area. I went from ’95 to XP to 8. * to 10 and reverted back to 8. * Reasons for going backwards were losing my sound driver and updates which caused too many problems (and this is going back to the start of 10). We all have different computers (motherboard and cpu) which can be older and might not support all the improvements given by 10. The boot time is meaningless when one has the computer(s) on 24/7. And depending what needs to be loaded at boot time is where the increase time is observed. Using third party utilities, the Start button can be customized to almost operating system. We need to remember an operating system is just an operating system. Each newer version adds and often subtracts features we enjoy using, Mindblower! Many of the features which users enjoy using have been re-named and/or moved to suit MS not the users. MS force many applications on users because MS dictate what they believe should be used, video, music player, Edge, photo viewer etc; but users still want their own choice of applications. It indicates the current trend of businesses which serve the public but do not support Customer Service. An OS should serve to people, not the opposite! And that’s what W10 isn’t. People have to decide whether to update something or not. W10 for example doesn’t give this opportunity, no matter if you desable WU it suddenly comes enabled after time with some magic. With MS help , of course. No, thanks, I stay with 7! I agree with the update part George but I can see the reasoning behind it. I’ve seen lots of people with windows computers in the past needing loads of windows updates as they got ignored. Many of these where important. As for windows 10 apps can they not be removed/disabled? The os seems to become more customisable with each update. Its a shame however we can’t get more smaller updates through the year rather than the 2 big updates we get. You can run W7, XP, Vista, W8 or whatever, for as long as you want. But if one wishes to run an updated copy of Windows then W10, or whatever it becomes, then one will have to deploy W10. I myself run W10, not because I like it, or think it is the best OS ever, but it is the future whether we like it or not. No joninoz! Don’t generalise about seniors and their abilities. I grew up with windows over 30 years ago, went through IBM s OS/2…. All versions of Windows except 8 and I and many other seniors probably know more than you!! There is no generalisation, read the word MANY in the comments. I have many senior, retired clients, they want to get rid of Windows 10, many bought new lap-tops with Windows 10 and loads of other unwanted, unfamiliar ‘bells and whistles attached need to be removed..
On another note, as you wish to sound like a special person with special abilities, with IBM’s OS/2, which is of no interest to anyone ,I outweigh your ‘so what’ with computer science qualifications in all areas, therefore, as seen many times before your 20 cents worth, you are assuming the level of my abilities which is guesswork, based on your attempt to undermine my comments. This DCT site is for those who wish to add comments relating to their own experiences and thoughts within our computer age, it is not a site for people of your ilk to assume the level of qualifications acquired by other DCT member. I suggest that you read every comment every week and note that certain members are familiar with each other based on long-past membership on other technological computer sites. “Yours is not to reason why, attend to your own business as a life priority, ad infinitum ……. Marc, you sound like the ultimate Windoze fanboi – but honestly you need to get out more and experiment. Try Linux Mint, Ubuntu, Devuan, MX17 and/or OSX for a week and see how it works out for you. M$ with their forced updates that break PCs (they broke USB drivers a couple of months ago – no keyboard/mouse at boot?! ), random forced reboots IN THE MIDDLE OF PRESENTATIONS AND GAMES, spyware, telemetry, constantly resetting default apps? I walked away years ago. Been using Linux since 1997 and barely use Win7 at all anymore – most of my stuff can be done in virtual machines if needed. And OSX El Capitan on a 2008 iMac (albeit a little slow because I haven’t upgraded the RAM and HD yet) is now my new daily driver – I can control everything else in my house from it with Nomachine NX AND dual-boot Linux. Literally the ONLY thing I like in Win10 is the virtual desktops “task view”. Linux and OSX have had that for YEARS. I had it back in XP as well, and Win7 can do similar with 3rd-party software. 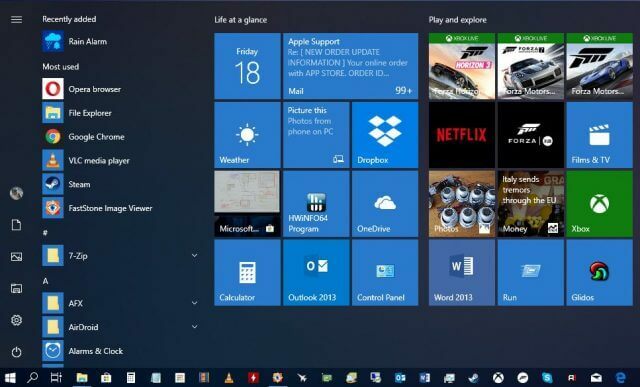 But Win10 is arguably WORSE in some ways than Win8, even though they at least fixed the Start menu. Guilty as charged, Kingneutron. I am indeed a Windows 10 fanboi. Whilst I do step outside my front door from time time, I’ve also experimented with Linux Mint, Ubuntu but never OSX. I’ve played with various versions of Apple software on customers’ Macs, but am always left feeling like a hostage to Apple’s total lack of flexibility. But frankly, the most important aspect of a PC for me is that it has to run games, I must be able to upgrade it with easy to find drivers and the user interface needs to be WYSIWYG as I really don’t have time for mucking about with lines of code. As I summarised in the article, Windows 10 does all those things and more, although I’m now tempted to give Mint another whirl on an experimental machine, but certainly not OSX. I’d rather poke my eyes out with sharpened stick. If I just wanted to do Facebook then Linux would be just fine. If I want to print or scan anything then it is either fight the machine or just use Windows. Linux is just fine for an older machine, that may be running XP, Vista or W7, that may need a secure way to access the internet. No way do I dual boot Linux with W10 and will never run anything that resembles a Mac. BTW I keep Linux Mint and Zorin on two different small SSD.s to pop into machines if Windows will not boot. Have a good day. As I read this article my first thought was that it was put out by Microsoft’s PR or Marketing departments. After re-reading, I realize that that Marc Thomas’ children, and his cat, are being held by Microsoft. Thanks for your concern Alan, and I’m delighted to inform you that the kids and the cat have now been released unharmed. Would like to know what OS you would perpetrate upon us delusional PC USERS????? I am frankly amazed that W10 runs on as many different devices that it does. Marc, glad your Children and Cat are OK!!!! !